If there was one investment that took the financial markets by storm in 2018, it was marijuana stocks. The group, headlined by Canopy Growth (NYSE:CGC), Tilray (NASDAQ:TLRY), Aurora (NYSE:ACB) and Cronos (NASDAQ:CRON), wasn’t well known to investors at the beginning of last year. But, by October, these stocks were flying high, with many of them more than doubling between July and October. What sparked the cannabis craze of 2018? Well, a number factors shed mainstream light on the long-dormant, niche industry. First, everyone started getting excited in 2018 about the nationwide legalization of cannabis in Canada in October. This was arguably the industry’s biggest catalyst ever, and as pot stocks started listing on U.S. exchanges, investors started bidding those stocks up. 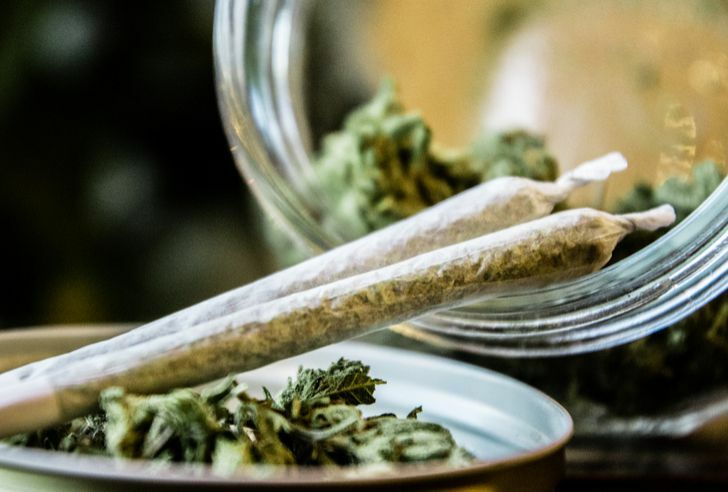 But what really kicked this rally into overdrive was a massive $4 billion investment into Canopy Growth from alcoholic beverage giant Constellation Brands (NYSE:STZ) in August. That was when marijuana stocks took off like a rocket ship. The logic was that big money was finally moving into the space, and thereby legitimizing the long-term potential of the recreational and medicinal cannabis markets. Alongside this hype, there was a significant amount of volatility. Thus, just as 2018 was the year of the cannabis craze, it was also the year of marijuana stock volatility. After more than doubling between July and October, pot stocks have since broadly dropped into bear market territory, with Canopy, Tilray and Aurora all 35% or more off all-time highs. I expect 2019 to be different for marijuana stocks. The cannabis craze isn’t over. These stocks will do well in 2019 and thereafter. But, there should be significantly less volatility, thus making pot stocks more attractive investments for the rest of 2019. The big marijuana stock bubble has already popped. 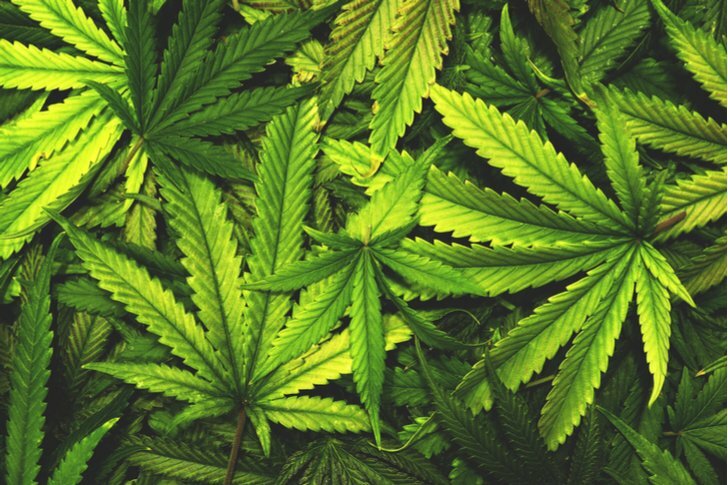 The cannabis craze swept through markets in mid-2018 after Constellation Brands poured $4 billion into Canopy Growth. That pushed pot stocks mainstream, and everyone and their best friend bought in. But, this whole craze was building towards the Oct. 17 nationwide legalization of cannabis throughout Canada. When that date finally arrived, you had a massive “Sell the News” event. Marijuana stocks dropped in a big way. The bubble popped. Marijuana stocks then gradually slid lower. Afterwards, sentiment normalized to a more realistic and less euphoric level, while pot stocks generally started to find their footing at key technical levels. As such, it increasingly looks like the pot stock bubble has already popped, and we are now in the post-pop phase. This inherently implies more stability going forward. Pot stocks have been on fire to start 2019. The “Big Four” (Canopy Growth, Tilray, Aurora and Cronos) are all up more than 10% year-to-date, with Canopy, Aurora and Cronos all up more than 44% in 2019. Cronos is up 73%. This rally sprung from broadly depressed price bases in late 2018, however, so valuations across the board remain reasonable relative to the long-term growth potential. The combined market capitalization of the Big Four pot stocks presently stands at $35 billion. Relative to the several hundred billion dollar global opportunity these companies are attacking, that combined market cap is reasonable and arguably even understated. The recreational cannabis market in Canada measured $6 billion in 2017. Inevitably, that number will grow as legalization prompts new people to try cannabis (read this story about first-timer Genevieve Despres). Meanwhile, the medical cannabis market in Canada is projected to be a $3 billion annual revenue market. Thus, the overall cannabis market in Canada projects as a $10 billion revenue opportunity. But, the cannabis growth narrative is an increasingly global one, as evidenced by each of these company’s having global supply and distribution agreements, the Farm Bill legalizing hemp in the U.S., and Canopy recently winning a license to process and produce hemp in the state of New York. No one really knows how big the global cannabis market will be. But, the general consensus appears to be that this will be a several hundred billion dollar space at scale. Indeed, the argument that makes the most sense to me is that the recreational cannabis market could realistically become comparable in size to the global alcoholic beverage and tobacco markets. Those markets both measure in at over $1 trillion. Meanwhile, on the medical side, CBD-related products have multiple use cases, and Canopy pegs the global addressable market of all those uses cases at nearly $200 billion. Thus, when all is said and done, saying the global cannabis market has $500 billion-plus potential at scale is a reasonable assertion to make today. Constellation Brands estimates that operating margins in the space will run around 30%, which is the norm for alcoholic beverage companies. That implies an aggregate global profit opportunity of $150 billion at scale. To be sure, it will take a long time to get there, and those $150 billion will be split among many different players. But, let’s conservatively say it takes ten years to get there, and that the current Big Four pot stocks only control 10% of the global market. That implies $15 billion in profits for the Big Four in ten years. Based on a market average 16X multiple, that implies an aggregate market cap of $240 billion in ten years. Thus, relative to the long-term growth potential, today’s Big Four pot stock aggregate market cap of $35 billion is very reasonable. A big problem with pot stocks in 2018 was that relative to trailing financials, the current valuations made absolutely no sense and inherently lent themselves to tremendous volatility. That won’t be the case in 2019. At the current moment, ACB stock is the cheapest among the Big Four at over 100x trailing sales. These huge, triple-digit sales multiples are a result of premature euphoria hitting the stock before the financials have caught up. In 2019, the financials will have a chance to catch up. The Big Four recently reported their first quarterly numbers following the legalization of pot in Canada. Growth rates across the board were impressive. We are talking 100%-plus revenue and volume growth. This big growth should persist into 2019. Next quarter will be the first full quarter of Canada cannabis legalization, and the next four quarters will all have easy laps due to Canada legalization lapping against no such thing a year ago. Thus, growth rates will be huge and impressive throughout 2019, broadly resulting in much larger revenue bases which will help support valuations across all marijuana stocks. The cannabis market got a nice kick in December when Marlboro cigarette maker Altria (NYSE:MO) announced a massive investment in Cronos Group. When all is said and done, Altria will own 45% of CRON. That’s a huge vote of confidence in not just the company, but the sector as a whole. Meanwhile, Coca-Cola (NYSE:KO) is also hosting partnership talks with Aurora. This of course follows Constellation’s earlier investment in Canopy. 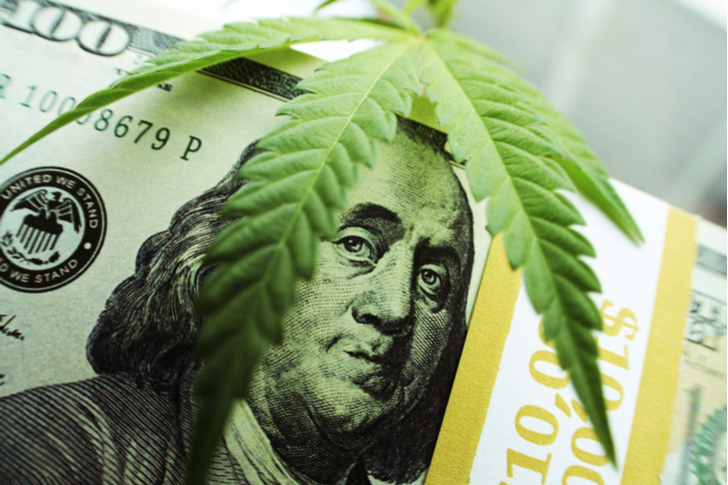 Broadly speaking, the more big money moves into the cannabis sector, the more stable marijuana stocks will be since they finally have some tangible support in the form of resources, distribution, branding, and expertise. Throughout 2019, M&A chatter in the cannabis sector will only pick up. In all likelihood, we will get some more big investments from the likes of Coca-Cola, and Pepsi (NYSE:PEP). Those investments will provide stability to pot stocks, and ultimately reduce volatility by a significant margin. Many pundits labeled pot stocks at bitcoin 2.0. This is a misnomer. Cryptos were all hot air and fluff. Cannabis is a tangible good that consumers already use in bulk and has the potential to produce billions and billions of dollars in revenues and profits. As such, the cannabis craze which swept through financial markets in 2018 will persist in 2019. But, those same hyper-growth pot stocks will be subject to much less volatility, thereby making them more attractive investments. The post 4 Reasons to Keep Buying Pot Stocks in 2019 appeared first on InvestorPlace.